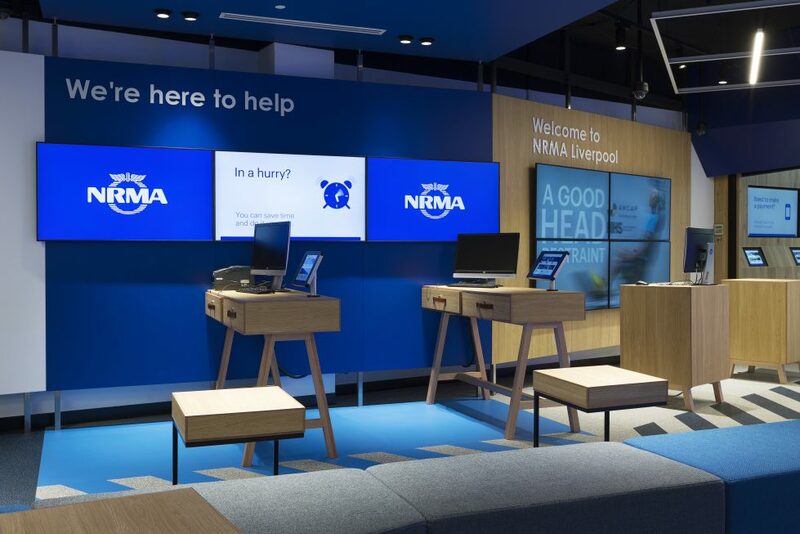 This flagship hub launched at Westfield Liverpool in Sydney is the first of its kind for NRMA Insurance. Created in partnership with Design Clarity, it is the outcome of a total rethink of the retail branch network and many collaborative sessions together since our initial engagement with IAG in August 2016. 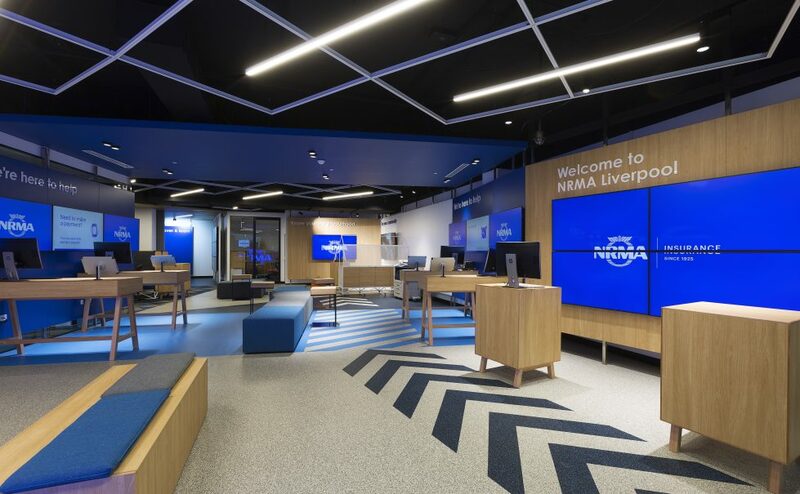 The hub is the next milestone in NRMA’s journey become a digital-first, agile and customer-led business. 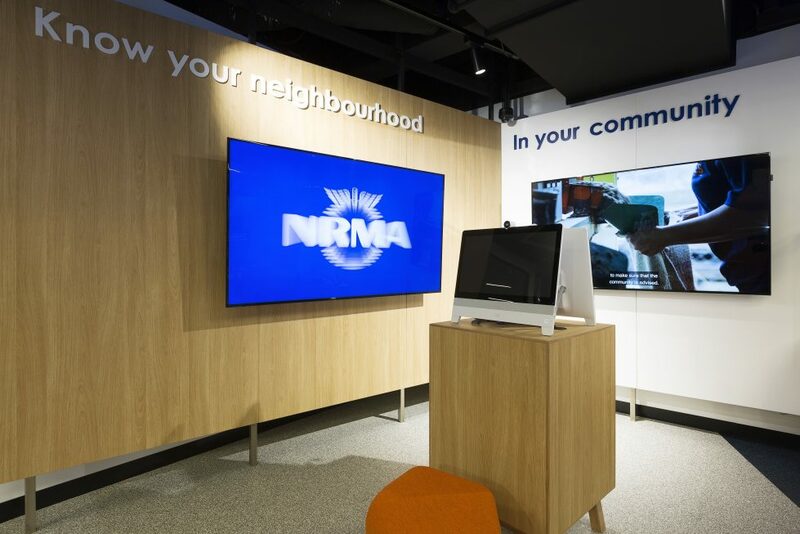 The new retail hub and spoke network is designed with a focus on bringing NRMA Insurance closer to their communities. While creating the hub design toolkit, we’ve implemented new kiosk designs in various NSW sites now operating at Marrickville, Erina, Tuggerah, and Chatswood, with Penrith, Burwood and Campbelltown all on site soon. 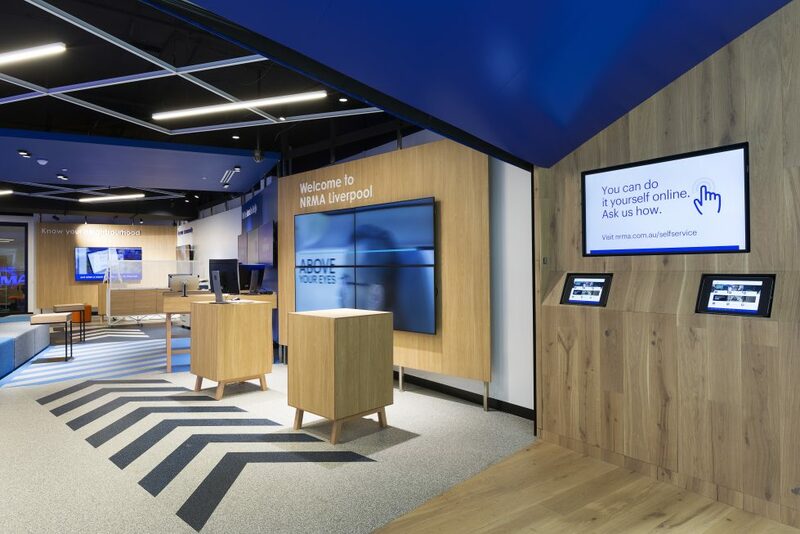 Occupying around the same footprint as a traditional branch this first flagship hub provides customers an opportunity to interact, feel connected, at the same time as exploring and being educated on digital platforms. A collaborative and insight-led approach was maintained throughout the entire design process. Many iterations of the design toolkit were shared with stakeholders, customers and staff, before early 3-dimensional designs were prototyped and fly-throughs were presented to customer communities for critique and feedback. 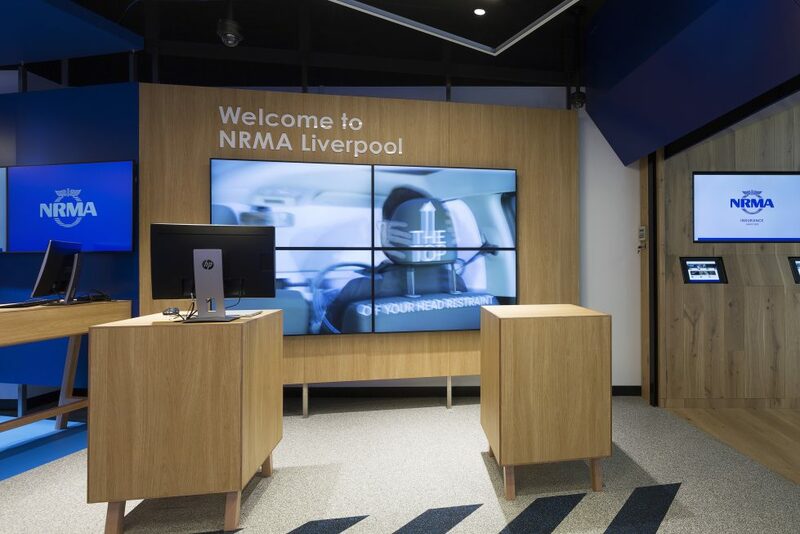 The store environment design gives NRMA Insurance customers and community a more engaging, one-stop-shop experience. 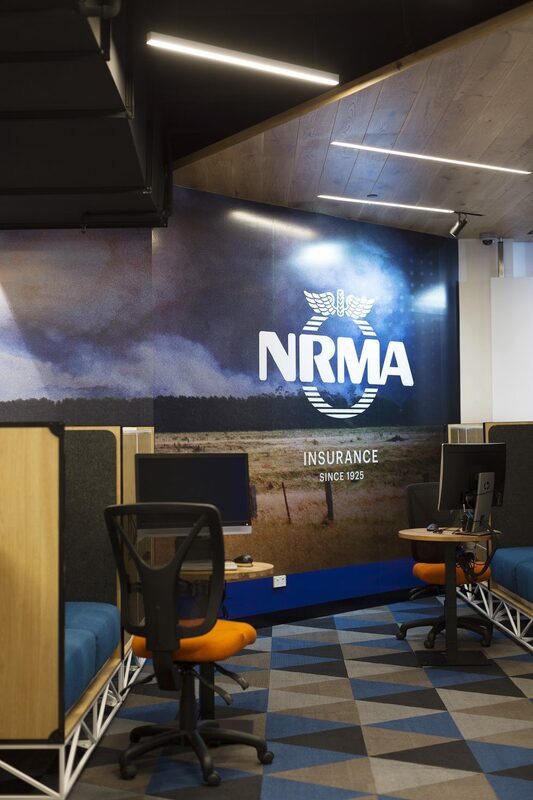 It is an opportunity to showcase an educational experience that will help customers better understand how NRMA Insurance makes their world a better place. The hub launch coincided with the newly released brand positioning ‘Help is who we are’ – you can view the latest campaign film on the NRMA Insurance YouTube channel. 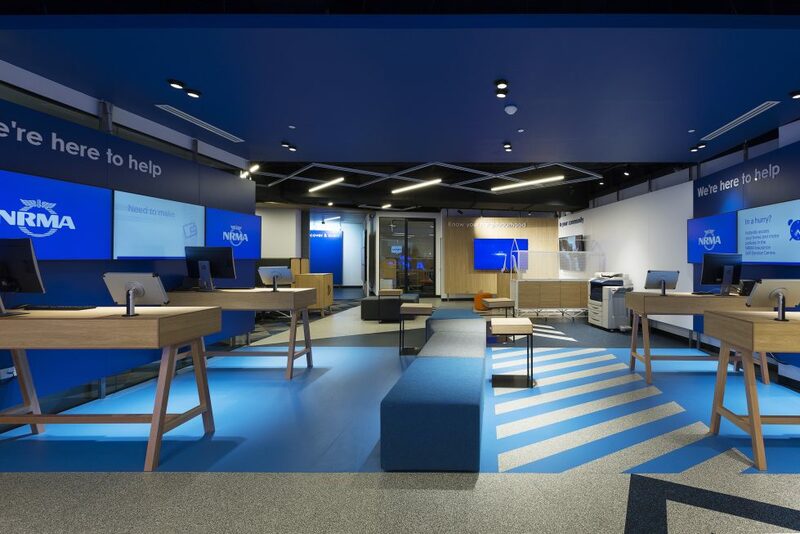 The in-store layout of the hub offers a new optimal way of working for staff and provides different service opportunities for customer connection in multiple zones. Part of this is helping customers connect better to the brand’s digital platforms. In the hub, staff can choose how to best serve customers, with assisted shoulder-to-shoulder service, allowing for seated semi-private consultations and also offering fast track self-service options. The hub design empowers people with more options to connect. Wait time is also harnessed with zones dedicated to community, education and an immersive VR experience adding wow-factor in the shopfront zone. 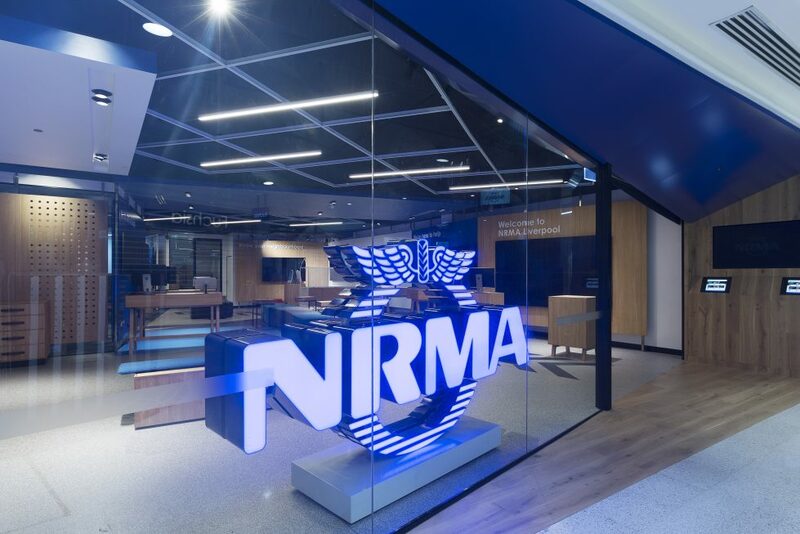 There’s a seminar space and a dedicated community cart to showcase how NRMA Insurance works alongside SES, Red Cross and local organisations to help make our world a safer place. 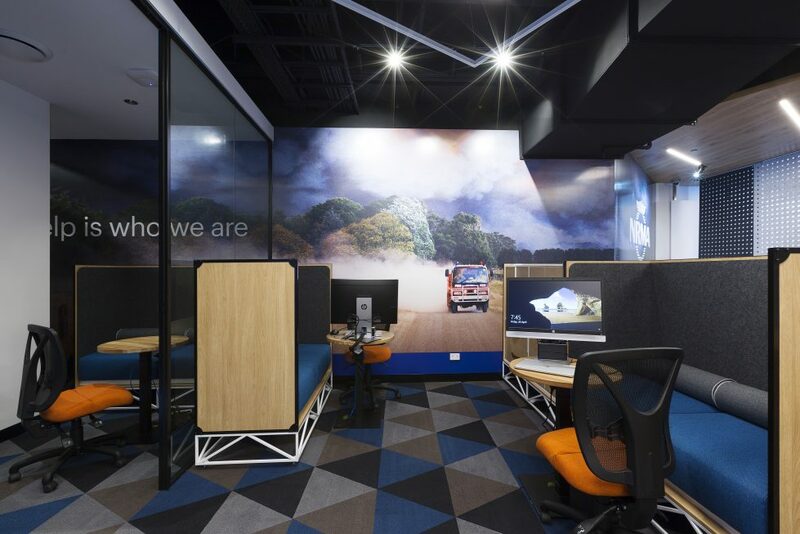 Thanks also to the very helpful team at National Projects for bringing this incredible hub fitout to life.